So here I am, it’s Monday, and I am all psyched out to share an awesome cake with you. I’m serious about Monday Cake Day. I made this for dinner tonight erm, I mean, for after dinner… who would eat this for dinner?! Oh, certainly not me. Breakfast maybe, but not dinner. ANYWAY, as I’m getting ready to tell you all about it, I start realizing this may not be an actual cake. I mean, it looks like a cake, but technically, is it? I have a sneaking suspicion that is this actually *gasp*… a tart. Which should seem quite obvious when you look at the name. But really, it is terribly difficult that Cake Day falls on the first day of the week when my brain hasn’t quite gotten back into the swing of things. 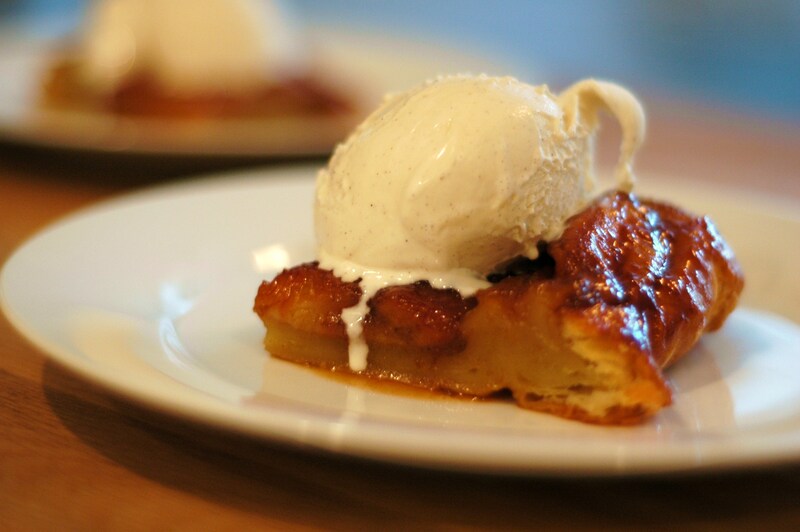 These are things we will have to flesh out on subsequent Cake Days, though, because I have to get around to telling you about the Banana Tarte Tatin. I was a little bit worried about this one from the start. It seemed so simple, but that should have been my first clue. First of all, you’ll see that the recipe calls for firm-ripe bananas. 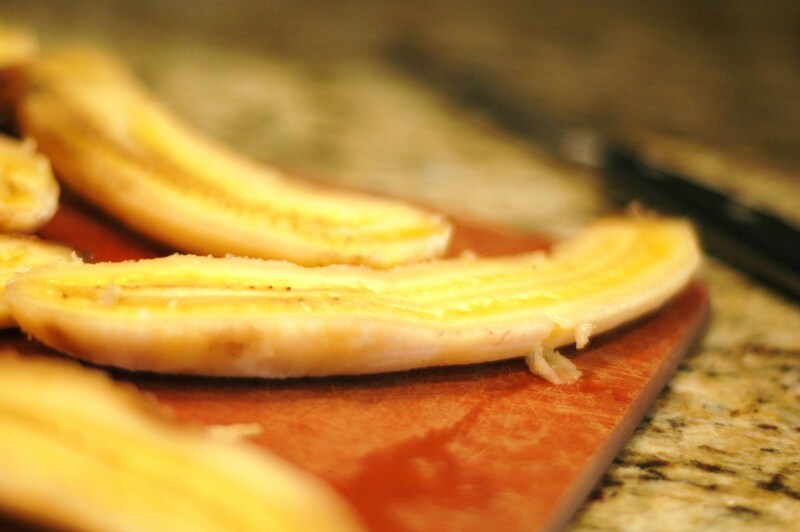 And as we all know, firm-ripe bananas don’t make out so well in my house. So when I went to grab them, they were definitely on the riper side of “firm-ripe”. No problem. A little harder to handle, but I had this in the bag. So then it come to the caramel. Great. I’ve made a hundred caramels before, I’m not concerned. I glance over the recipe and notice that the recipe says to throw the butter and sugar all in one pan, instead of caramelizing the sugar and then adding the butter like I usually do. Ok, I’m up for new things. Melting butter and sugar together, how can we go wrong, right? Then I note that the recipe calls for fancy puff pastry, which is just about as rare around here as an under ripe banana, and that I have two sheets instead of one. I guess when you get the fancy puff pastry, you only need one sheet? So I just plopped one sheet on top of the other and rolled it out a little bit. It doesn’t look any worse for the wear. I could seriously give you another ten reasons why this dessert should have been a major disaster. But they are all pretty irrelevant, because this cake, or tart, or whatever you want to call it, was amazing. First of all, about 5 minutes after I put it in the oven, I could tell that there was no way that this could be a total loss. 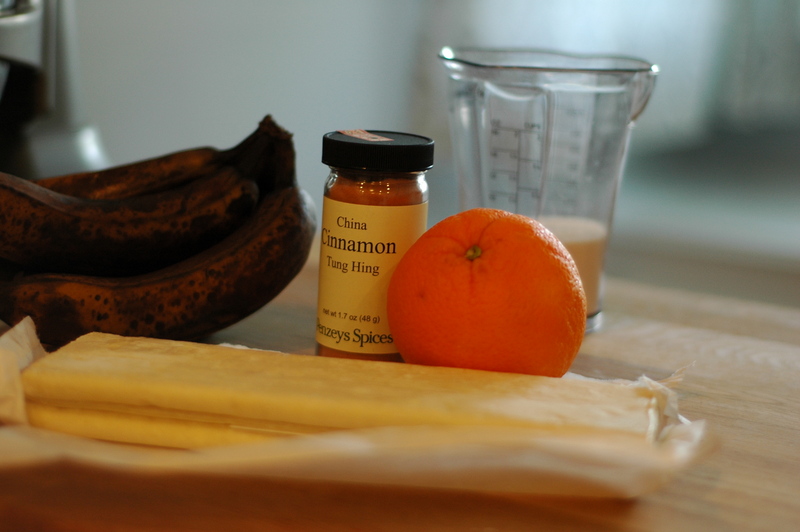 This tart makes your entire house smell like bananas foster, in the best imaginable way. And then I peaked in the oven and the caramel was bubbling, the pastry was rising above the dish, and I may have gotten way more excited than I thought I would be about this. And then, in the fashion which is becoming quite typical in my kitchen, it all broke bad after I took it out of the oven. You see, I was so excited by the bubbly caramel and the golden pastry and the warm, cinnamon smell of the bananas… well, I might have tried to flip it a little too early. I know, I know, you’re seeing a Cake Day pattern. But it was just so tempting. I guess I don’t need to tell you what happened next, but let’s just say it was messy. Good thing I don’t mind being covered in orangey, cinnamon-y caramel. Does anyone? So this didn’t turn out to be a real looker. But. Oh. My. Gosh. I’m trying to conjure up words for how good this was, but I’m at a loss. My over-ripe bananas kind of melted into the caramel, which in turn melted in the pastry, so even the bottom of the tart is suffused with all those wonderful flavors. It’s sweet and rich, and is absolutely perfect with a scoop of vanilla ice cream. In the end, I really do not care if this is a cake or a tart or an old shoe. It is so good. Happy Monday. Arrange an oven rack in the top third of oven and preheat the oven to 400°F. Cook sugar and butter in an 8″ skillet over medium heat, swirling skillet often, until mixture is deep golden brown, 8–10 minutes. Don’t worry if at first it looks like a crumbly mess and you think that the butter will burn before the sugar caramelizes. It will work out in the end. 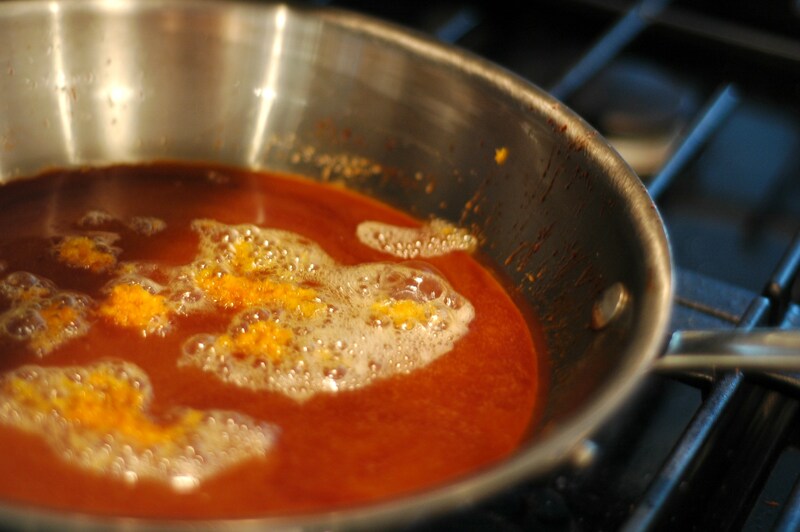 Remove from heat and stir in orange zest and cinnamon; pour mixture into a 7 1⁄2″ x 12″ baking dish and spread the caramel to cover the bottom. Work quickly, because the caramel hardens pretty quickly. Arrange bananas, cut side up, over the caramel, cutting pieces as needed to fit in the baking dish. If you’re using a 17 oz. 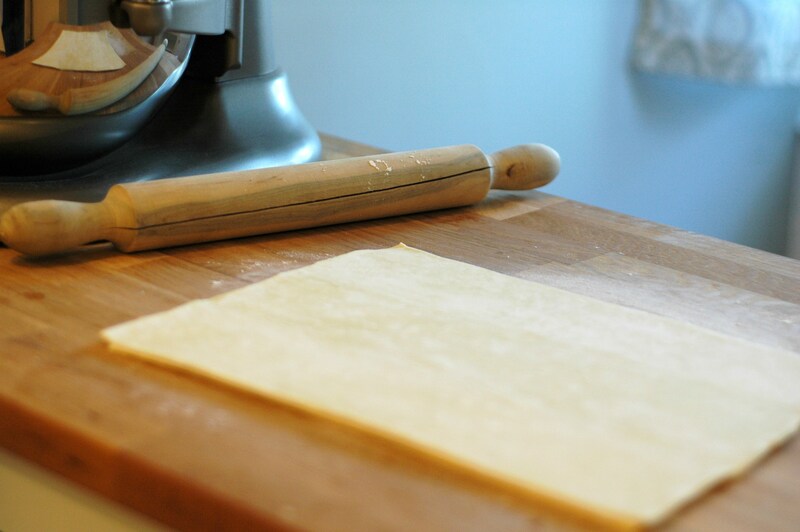 package of puff pastry, take one sheet of dough and place it on top of the other sheet. If it’s not sticking, dampen the first sheet with a little water before putting the second sheet on. Floor a board and roll out stack of dough just barely, so that the two pieces stick together, and the sheet is long enough to cover the entire dish. Place puff pastry sheet over bananas.Prick pastry sheet all over with a fork. The original recipe tells you to trim excess dough, but I would discourage that. 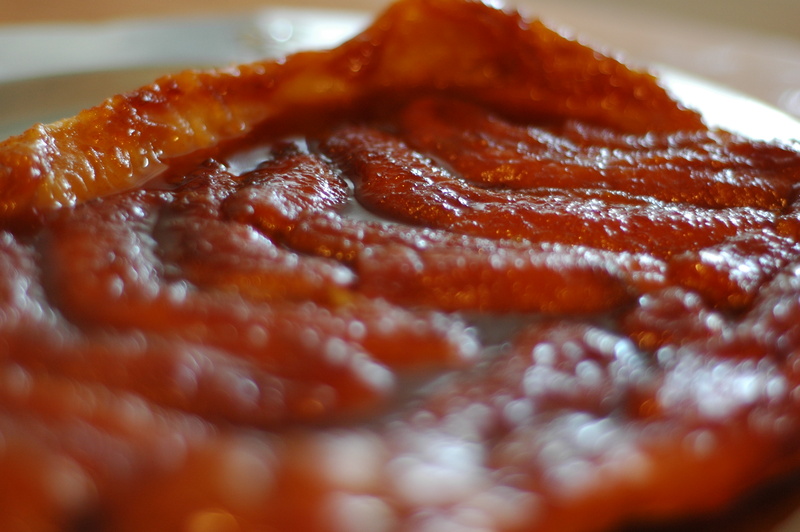 You won’t want to lose any of this beautiful caramelized crust in the finished product. Just tuck the edges in around the bananas, all around the side of the dish. 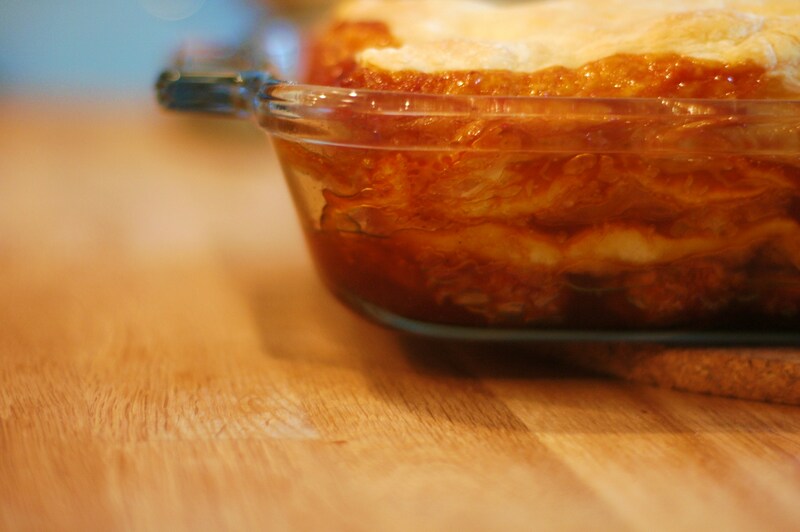 Bake until pastry is puffed and golden brown and caramel is bubbling around the edges of the dish, about 30 minutes. 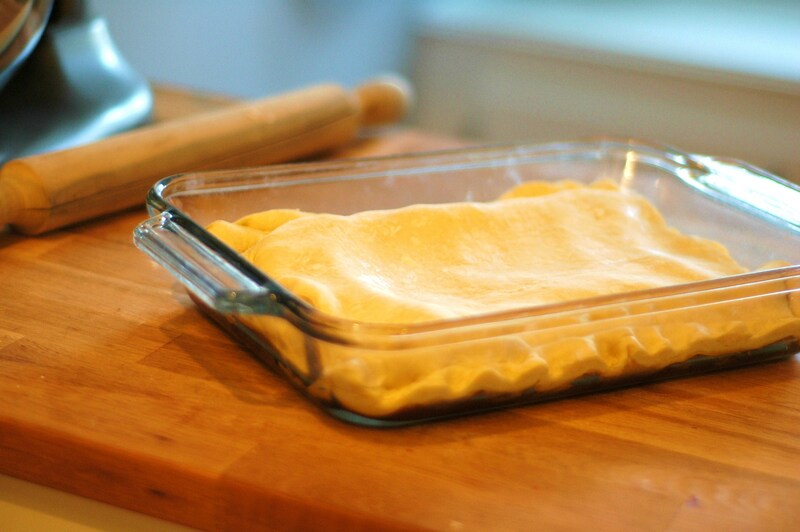 Transfer baking dish to a rack and let cool for 5-10 minutes. Place a serving platter or baking sheet upside down over the baking dish and carefully invert tart onto platter or sheet. Cut tart into large squares and serve with vanilla ice cream or some lightly sweetened whipped cream.